Grill it... and they will come. Since I got a new grill to kick off the summer, getting friends and family together has been even easier to do. Besides, it's been way too hot to cook indoors so I've enjoyed taking this outdoors. With Copper River Salmon season in full swing, finding new rubs and marinades to work with salmon is always on my radar. 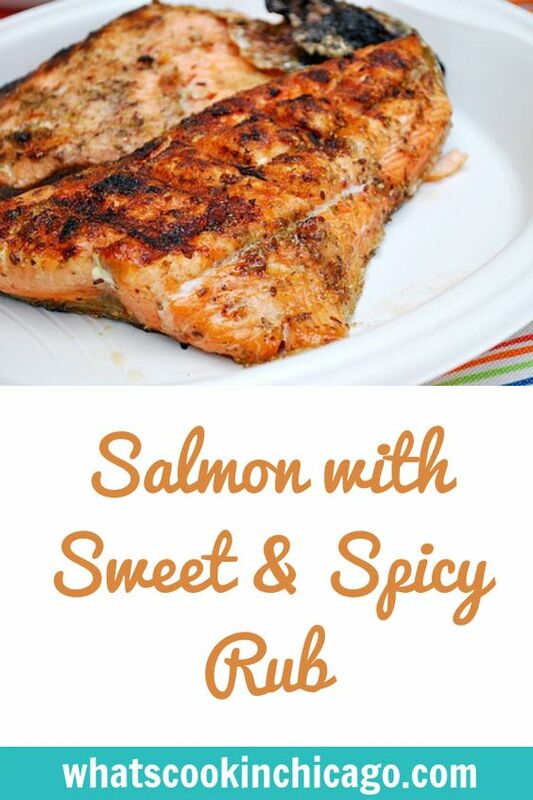 This time I made Salmon with Sweet & Spicy Rub; where Copper River Salmon is rubbed with a blend of sweet and spicy seasonings that are probably sitting in your pantry. It's not only a flavorful rub but this recipe is pretty healthy too! 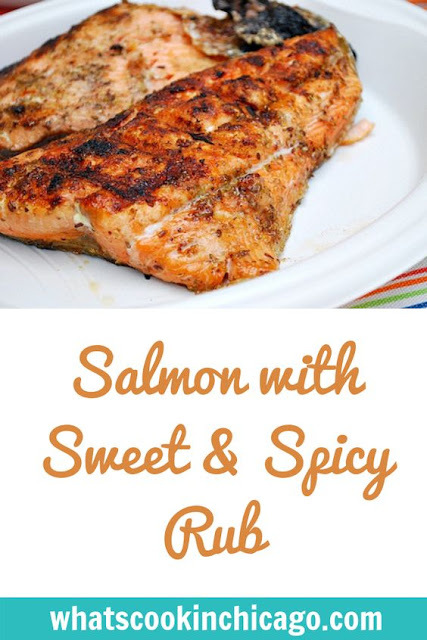 I really liked this rub because it wasn't too sweet or too spicy or even masked the already delicious, natural flavor of Copper River Salmon. The rub itself seemed to create a glaze for the salmon that really worked well. I would try using the same rub for other seafood such as scallops, shrimps and/or firm fish. I ended up using some leftovers in a spinach salad and that was a great addition to make a side salad into an entree all in itself! Coat your grill or a grill pan with cooking spray and preheat over medium heat. While the grill is heating, combine the brown sugar, chili powder, cumin, salt, and pepper. 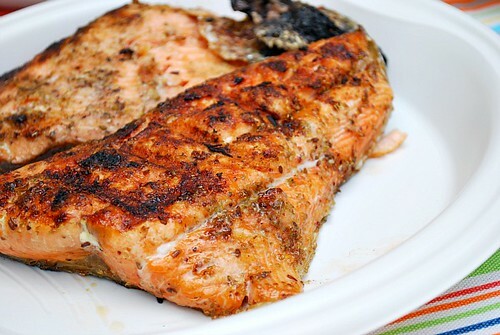 Brush each salmon fillet with 1/2 teaspoon of the oil, then rub each fillet with about 1/2 tablespoon of the spice mixture. For well done fish, cook an additional 1 to 2 minutes. Remove to a platter and serve immediately. Follow-up. I DID make this tonight and it was so yummy, I will happily make it again.